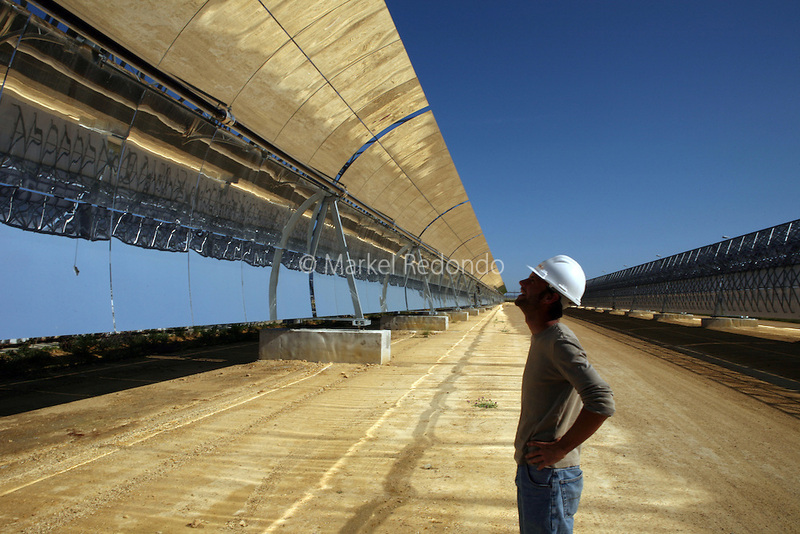 The PS10 solar tower plant sits at Sanlucar la Mayor outside Seville on April 29, 2008 in Seville, Spain. The solar tower plant, the first commercial solar tower in the world, by the Spanish company Solucar (Abengoa), can provide electricity for up to 6,000 homes. Solucar (Abengoa) plans to build a total of 9 solar towers over the next 7 years to provide electricity for an estimated 180,000 homes.